I started my blog 2 years ago with an Australia Day post on John GALLIGAN, my first ancestor to arrive in Australia. This post, inspired by Helen V Smith's 2013 Australia Day challenge will be about John's wife Margaret HUDSON, my first female direct ancestor to arrive in Australia. Margaret HUDSON was born 1 January 1867 in Ballinatray, Gorey, Wexford, Ireland. Her parents were James HUDSON and Jane FITZSIMMONS. I know Margaret married in Brisbane, Queensland in 1888 so I looked for an arrival prior to that date. 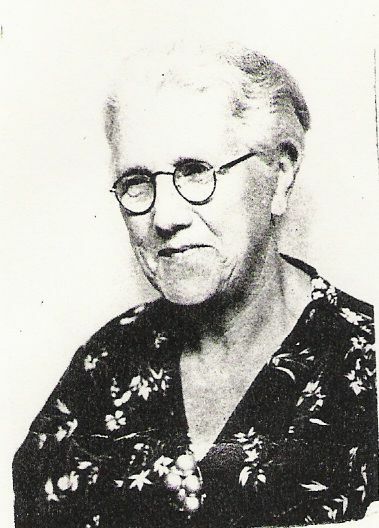 Her death certificate in 1942 indicated she had lived 60 years in Queensland. Therefore she had arrived approx 1882. Margaret's wedding to John GALLIGAN in 1888 was witnessed by Annie HUDSON (and I've subsequently confirmed Annie was in Australia via her marriage to Thomas SKELLY & death certificate in 1919 which confirmed her parents and said she resided 39 years in Australia ie arriving 1880). But was there a brother Matthew? The answer is yes and the Queensland police service file and insanity file at the Queensland State Archives have confirmed the family relationship. However, I have found no trace of Matthew after 1888. I wonder if Matthew knew John GALLIGAN who was also a constable in the Queensland Police? There was certainly a period where they both served in the Brisbane city area. Perhaps he introduced the couple. Guess we'll never know. I am pleased to hear that you used insanity files as a source for your family history. If you haven't already done so, you should also check whether there is a Justice Department inquest file, and apply for access to the Goodna Asylum case book (described on my Web site). Thanks Judy. I'll see what more I can find. In the interests of paying it forward. I have found some useful articles onthe Zamora which may be of interest. Thanks Adam, sorry was a bit slow to post. Great to see the photo & the occupation summary which is not on the shipping list itself.